There is a lot of misunderstanding when some of our customers discuss their options for financing their new car, and it all seems to stem from the terms BUY and LEASE. These terms can sometimes be thrown around by other dealerships interchangeably, but they are quite different from one another. To help clear up the confusion, we have put together a quick guide to give you some reasons why leasing may be the best option for you, and why buying might be your best bet. When leasing, you are essentially renting the vehicle for a lower monthly payment, because instead of taking a loan out for the entire cost of the vehicle, plus interest, you are just taking a loan out for a fraction of the total vehicle price. Mileage restrictions apply, and you aren’t free to customize your car in any way you may choose to down the road, but you get the thrill of owning a new car every few years. You may enjoy buying if you don’t mind the monthly payments being higher for a few years with the eventual payoff of having no loan after it has been satisfied. This allows you to customize your vehicle, but you also take a gamble when trading it in later if you choose to purchase a new model down the road. Need a few more reasons why these options may or may not be your best bet? 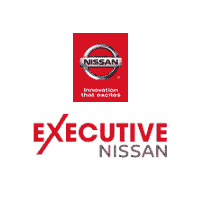 Check out these quick points and ask our staff here at Executive Nissan if you have any questions!